Pumpkin seeds get an added kick with this spice mix. 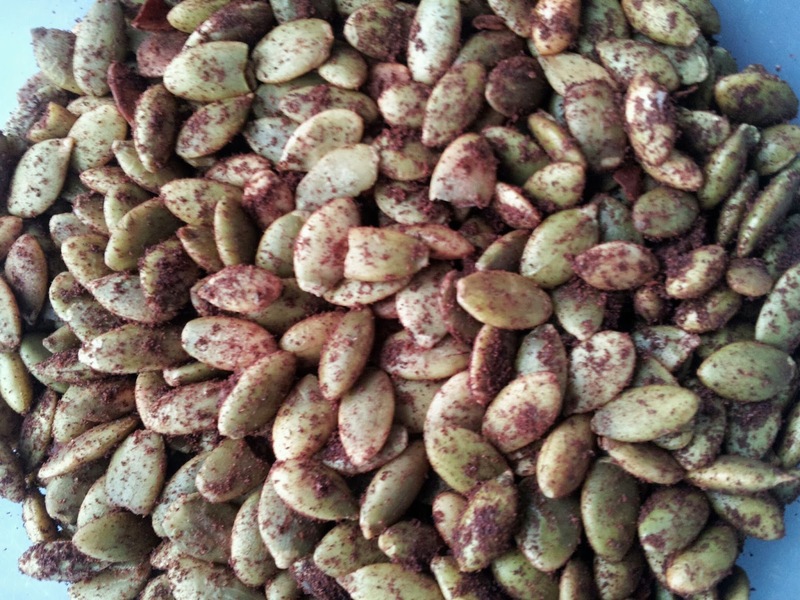 You can enjoy the spiced seeds on their own, or mixed into trail mix or air-popped popcorn. Spray a large frying pan and set to medium heat. Pour pumpkin seeds into pan, stirring continuously for about 5-6 minutes. The seeds will become fragrant and start to hiss and pop when they are nearly done. Remove from heat and set aside. Pour spice mixture over seeds and mix to coat thoroughly. Allow to cool before serving.